day three…how many local dollar for a local anesthetic? Day three. Back to work. During my commute, in the wee hours of the morning, I was trying to think of what I would draw today. I put the WHOLE ipod on shuffle…you know, the kind of thing you may be too embarrassed to do if you had passengers. Genius is for passengers, shuffle for solo rides. 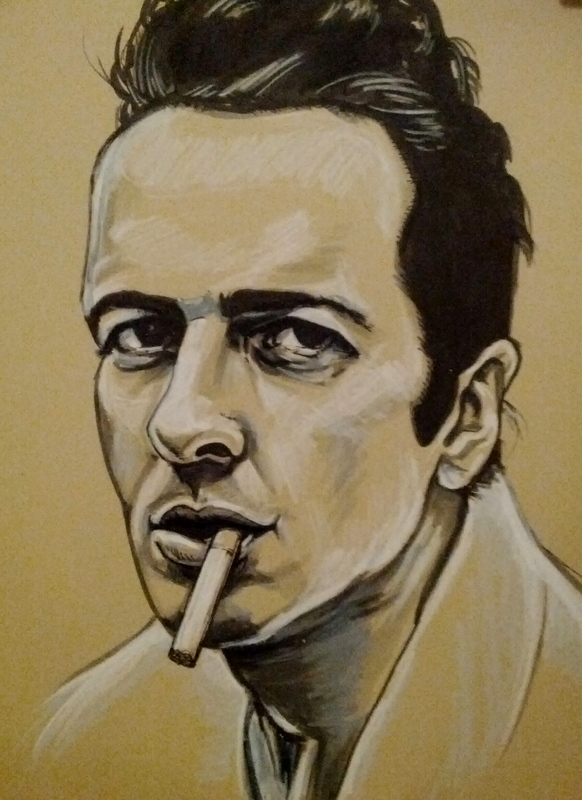 Anyway, I was pleased to hear The Clash and thus the inspiration for today’s artwork.